A boiler is made up of sections (cast iron) with nubs on each side creating a nice cap for the flame / heat to pass through. This heats up the sections and the water inside these sections to clean from inside the boiler machine. We are herewith the service provider for Boiler Inspection Activities like, Descalling, all water treatments, etc. Keeping in mind the precise demands of clients, we provide effective boiler evoporate Cleaning Services to our clients. 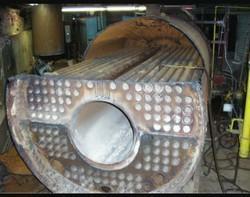 We use latest high pressure jet technology to clean industrial boilers. Steam Boiler Cleaning Services - Hydrojetting Services are providing Steam Boiler Cleaning Services to all industries on over India from Ahmedabad, Gujarat, India. We are taking a job work of boiler cleaning with high pressure water jet cleaning machine. Our cleaning and operational services had the capability to restore your boiler to optimum condition. Our specialties are Labor Supply for Boilers Installation, excellent cleaning solutions, operational services and constant communication with clients. We are highly engaged in Boiler Internal Cleaning services. Performed by the experts this cleaning is best. Our cleaning experts are highly trained to clean boilers without damaging any part of the interior of the boilers. We use latest high pressure jet technology to clean industrial boilers. It does not damage the ineer tubes of boiler. 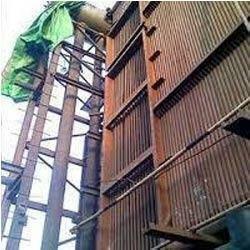 This process of boiler cleaning is very cost effective compare to other modes of cleaning.